On Friday 6th September, just over 2 weeks away from Folkstock Acoustic Festival and Family Fete, the Folkstock Arts Foundation held a warm-up event – as a practice-run for the big gig! 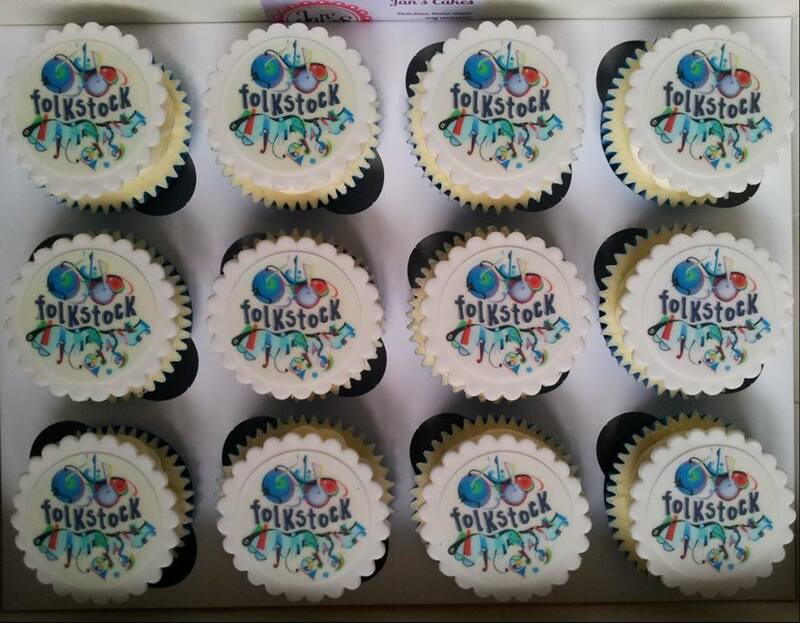 As well as giving out (for FREE) these amazing cupcakes, made by Jan’s Cakes, the event attracted a great crowd – including one of the ‘community gain’ researchers, using Folkstock as a case study. What a lovely atmosphere at the Folkstock Festival warm-up event held at the Hertford Corn Exchange last Friday. It was great to be able to see some of the acts which will also be on at the festival on the 21st. 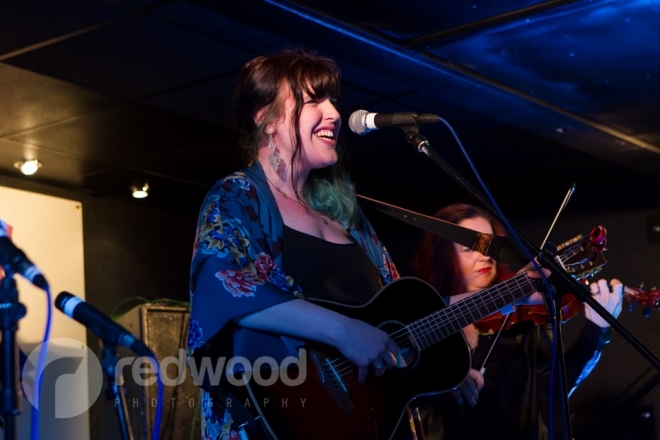 All of the performances were excellent and I came away with a Said the Maiden CD which I’ve been enjoying listening to since then – the fiddle playing was a major draw for me and I love the quirky songs and harmonised vocals. I also took the chance to persuade lots of people to fill in a questionnaire about their Folkstock experiences so far – many thanks to those of you who were kind enough to do this on the night (and also to the online people). Ever since Helen called in at the Uni of Herts, where I used to work, and told us about the festival she was setting up, I’ve been keeping in touch with developments. I’ve carried out research at festivals and gigs before, so I know how rich and interesting they can be as places to do research. I was also really keen to work with Helen to collect data which will help her to review how Folkstock is going. I’ll be writing up the findings for Helen with my consultancy hat on, as well as putting together an article for an academic journal with my researcher hat on, too. 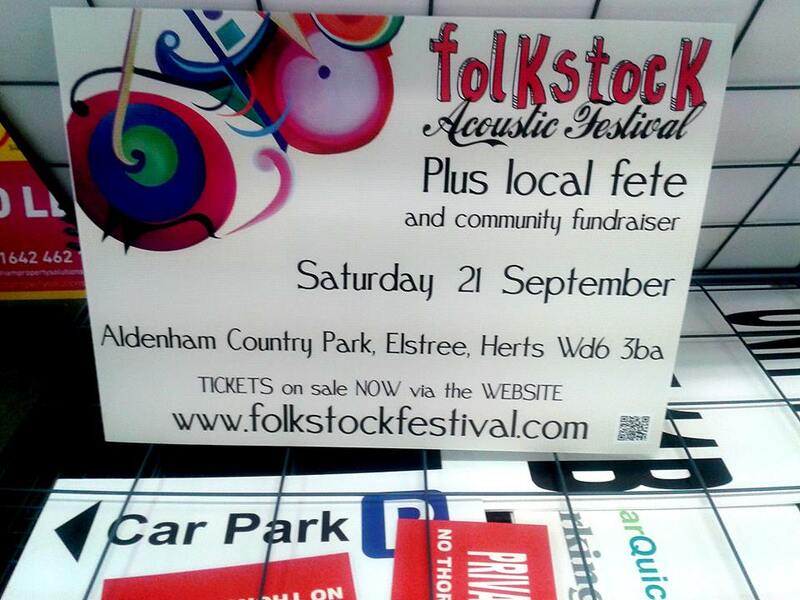 The questionnaire survey is exploring the messages which people are receiving about Folkstock. It’s asking things like how people heard about it, and also trying to find out whether people are getting the impression that the Folkstock ethos is being achieved. There’s space for people to add extra comments too and a couple of those stood out to me: “I think this is going to be an amazing event and the start of something very special”, and “So far all the Folkstock events have been really enjoyable. I’m looking forward to the main event!”. The survey is also running online – there’s been a link from the Folkstock Facebook page for the last few days. If you have a connection to Folkstock and you’d like to fill in a questionnaire yourself, we’d be really pleased to hear from you. You can click this link to fill it in https://www.surveymonkey.com/s/Folkstock_survey – it’s all anonymous. We’ll also be giving out the questionnaires at the festival too. The more feedback we can get the better! Enjoy the festival – not long now!